Hull geometry modification and reconstruction, optimization algorithms and CFD technique are combined together into what is known as simulation-based design (SBD) techniques, and its essence is the hydrodynamic configuration design driven by global flow optimization. 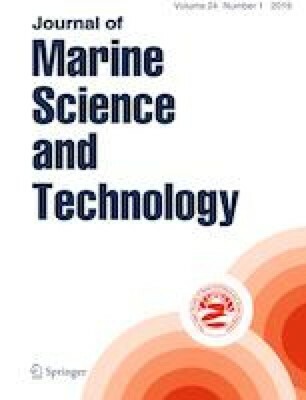 The purpose of this paper is to show how the improvement in the hydrodynamics performance of a Small Waterplane Area Twin Hull (SWATH) can be obtained by solving a shape optimization design problem at different speeds using the SBD technique. In this paper, an example of the technique application for the SWATH hull-form optimization at different speeds is demonstrated. In the procedure, the free-form deformation method is chosen to automatically modify the geometry of submerged pontoon, and the multi-objective particle swarm optimization (MOPSO) algorithm is adopted for exploring the design space. The two objectives functions, the total resistance at two different speeds (11 kn and 15 kn), are assessed by RANS solvers. The optimization results show that the decrease in total resistance is significant for the optimization case at two different speeds (11 kn and 15 kn), with a reduction of about 5.1% and 6.3%, respectively. Meanwhile, the displacement increases 3.7% and the transverse section of submerged pontoon becomes “flower vase” type from ellipse. Finally, dedicated experimental campaigns for optimized model have been carried out to validate the computations and establish the effects of the optimization processes. It shows that the computations of optimization scheme mainly fit the results of model test. The given, practical examples demonstrate the practicability and superiority of the proposed SBD technique for the SWATH multiple speed integrated optimization problem. In addition, the technique can also be applied to other fields of shape optimization design. This work has been supported by the National Natural Science Foundation of China, Grant no. 51479181.